On January 11, 2017, the Town of Yarmouth was the first in Nova Scotia to enact a by-law establishing a Development Rebate Program, designed to stimulate building construction and expand the Town economy. 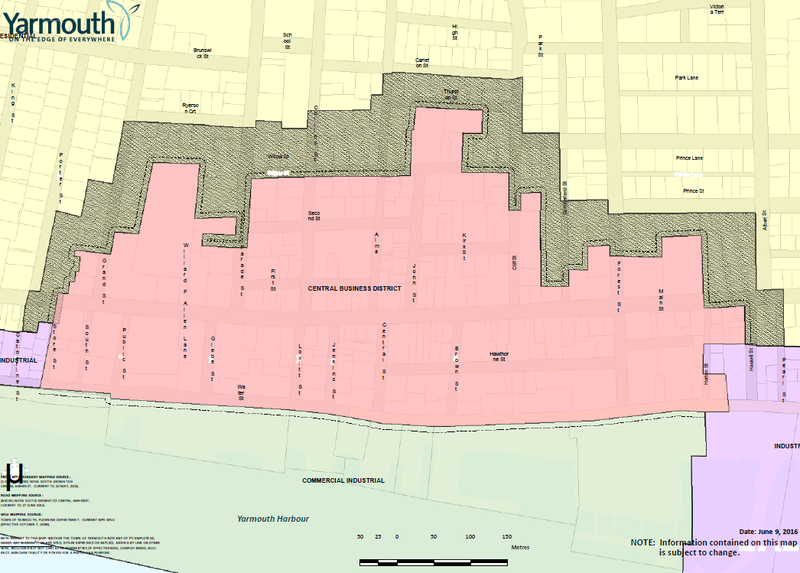 This means that property owners within the Central Business District (shown in the image below) can apply for annual partial rebates of up to ten years on commercial taxes if you have undertaken development of the property. Development can include new building construction, or the expansion of an existing building to realize more effective utilization of the property’s potential.